Welcome to Universal Storage! We are a full service storage provider located in Shelby Township , Michigan . Whether it is the furniture that doesn't fit in your home or your classic car that needs storing any time of the year, we can accommodate all of your storage needs. We have recently expanded our facility, meaning that we are sure to have the right space available for you. Do you have a large amount of small, miscellaneous items? 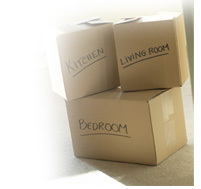 Our newer mini storage units were built in 2002, meaning that we are sure to accommodate any storage need you may have! ©2016 Universal Storage Inc. All Rights Reserved.